The rise of virtualized infrastructure and virtual machines has had substantial consequences for network administrators. Well-established network monitoring practices have been shaken up as enterprises incorporate performance monitoring platforms and Hyper-V monitoring tools to monitor virtual infrastructure. Now that so many companies are using Microsoft Hyper-V to deliver virtual services a range of Hyper-V monitoring tools have cropped up to monitor these resources. While this has added lots of choice to the market it has made it difficult to tell which monitoring platform is the most effective. In this article, we’re going to look at the best Hyper-V monitoring tools for monitoring virtual infrastructure. 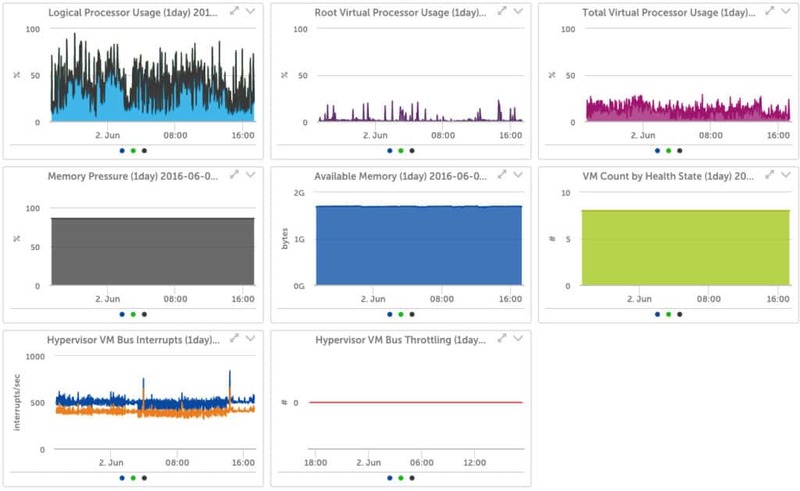 1 Why Are Hyper-V Monitoring Tools Important? Why Are Hyper-V Monitoring Tools Important? Before we look at the best Hyper-V monitoring tools we’re going to look at why they are important. The main reason monitoring tools are needed is that Hyper-V services are virtualized and inaccessible to administrators (particularly when compared to physical infrastructure). Locked in one device there can be dozens of different virtual machines. Given that these are tangible pieces of hardware it can be easy to lose track of them and miss performance concerns. Using a network monitoring tool that can monitor Hyper-V helps increase visibility over these virtual services. Without a high quality virtualization tool administrators run the risk of losing track of virtual resources. Failure to maintain virtual resources results in performance issues and can leave the network vulnerable to cyber attacks. In this article, we look at the best Microsoft Hyper-V monitoring tools for monitoring your network. First up on this list we have SolarWinds Virtualization Manager, a network monitoring tool designed for managing virtual resources. SolarWinds Virtualization Manager shows the health status of virtualized resources like Hyper-V through a colour-coded dashboard. Virtual resources are categorized as Up, Down, Critical, Warning, Shutdown, Unreachable and External to tell you everything that is going on with your connected services. To keep your monitoring responsive, SolarWinds Virtualization Manager has an alerts system. The alerts system can monitor Hyper-V problems such as high CPU utilization and latency to warn you about poor performance. 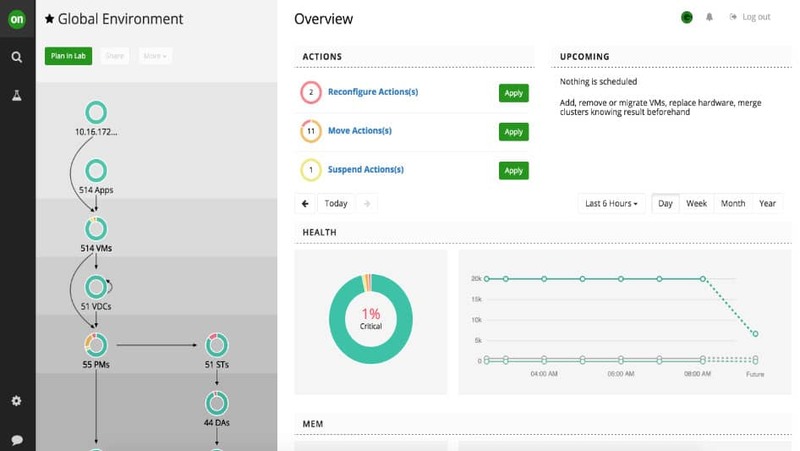 Alerts come preconfigured out-of-the-box and can be viewed in one dashboard view. 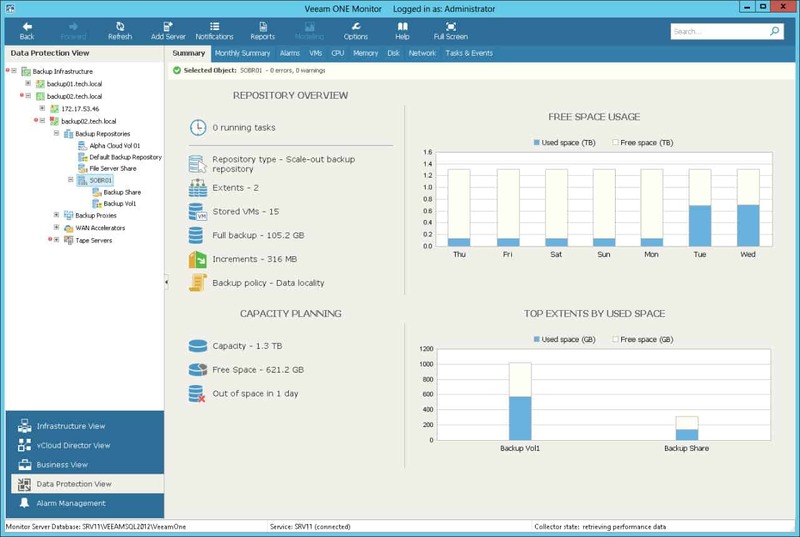 One particularly useful feature offered by SolarWinds Virtualization Manager is capacity planning. SolarWinds Virtualization Manager can predict the CPU, memory and networking resources you will need for future Hyper-V Usage. Capacity planning forecasts are shown to you in the form of graphs so that you are completely aware of the resources you will need to support in future. Overall SolarWinds Virtualization Manager offers a comprehensive monitoring experience for virtual resources. If you’re looking to monitor the health status and storage usage of your virtual machines, this tool is well worth consideration. SolarWinds Virtualization Manager starts at a price of $2,995 (£2,275). There is also a 30-day free trial available. Next up we have PRTG Network Monitor, a tool that offers a streamlined virtual machine monitoring experience. PRTG Network Monitor can monitor the status, CPU usage, memory, and traffic of Hyper-V servers. There are even sensors dedicated to monitoring Hyper-V servers. For example, the Hyper-V Host Server Sensor monitors CPU usage, number of host health critical values, number of deposited pages, and network traffic. PRTG Network Monitor has a notifications system that can track key Hyper-V metrics using threshold values. The user sets a parameter for a metric like CPU usage and once a predefined value is exceeded an alert is generated. Alerts are sent via email, SMS, and push notifications. Being able to set performance thresholds gives you control over when you receive notifications. One of the biggest selling points of PRTG Network Monitor is that it is available free for up to 100 sensors. Paid versions of PRTG Network Monitor start at $1600 (£1,213) for 500 sensors to PRTG XL5 for unlimited sensors $60,000 (£45,524). There is also a free trial version available here. SolarWinds VM Monitor is a free virtual machine monitoring tool that can be used to monitor Hyper-V and VMware. On SolarWinds VM Monitor you can view the CPU, memory usage, network usage, and number of running VMs. The user interface is not as contemporary as other tools on this list, but it provides you with visibility over the basic VM performance metrics. You can also use this tool to view more detailed VM information such as VM name, guest OS, and VM state. These details make it easier to navigate your virtual infrastructure. 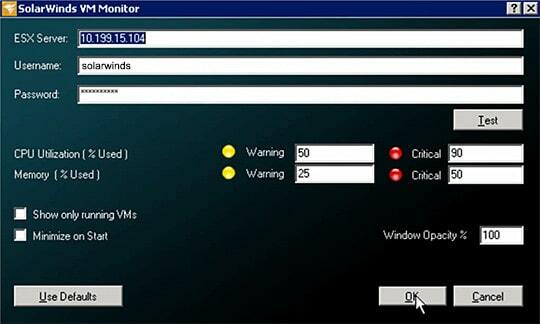 You can also monitor for VM issues like performance degradation through the use of threshold indicators. For example, you can set Warning and Critical indicators if CPU Utilization or Memory crosses a predefined percentage. SolarWinds VM Monitor is a tool that is ideal for smaller organizations looking for virtual machine monitoring experience. It is important to note that SolarWinds VM Monitor can only monitor one server at a time. If you want to monitor more servers you’ll need to purchase SolarWinds Virtualization Manager. SolarWinds VM Monitor can be downloaded for free here. Next up on this list we have ManageEngine OpManager. ManageEngine OpManager is a network monitor that has virtual machine monitoring capabilities. With ManageEngine OpManager you can automatically discover Hyper-V infrastructure. Once a device has been discovered, there are over 40 different monitors you can use to track the CPU, disk, and memory of a Hyper-V server. This provides you with all the visibility you need to identify what is going on. The platform also offers over 70 Hyper-V reports. Each report can be generated in PDF, CSV, and XLS. All reports are customizable so that you can select the information you want send onwards to your team. For example, you can create a report of the most and least utilized hosts to share. There are also alerts so that you are notified when a Hyper-V resource goes down. Notifications are sent via email and SMS. Live alerts are shown in the fault management module. Here you can view the severity of the alert, the time it was last updated, and a supporting message detailing the program. Having alert information readily available makes it easier to run troubleshooting when something goes wrong. ManageEngine OpManager is available for Windows and Linux. There are two versions of ManageEngine OpManager available to purchase: the Essential and Enterprise versions. The Essential version costs $715 (£542) and supports up to 1,000 devices with Hyper-V, VMware and Xen monitoring. The Enterprise version costs $19,795 (£15,024) and supports 10,000 devices. There is also a free trial version that you can download here. ManageEngine Free Hyper-V Performance Monitor is ManageEngine’s cost-free alternative to ManageEngine OpManager. With this tool you can monitor all versions of Hyper-V up to Hyper-V Server 2012 R2. With this tool you can measure metrics such as CPU utilization, memory utilization, disk read/write rate, and network Rx/Tx. You can also track the number of virtual machines that are active and track their health status. Thresholds are customizable so that you can configure parameters for CPU utilization and view alerts when you need to take action. Though the alerts system is not as complete as ManageEngine OpManager, it provides you with enough visibility to see when Hyper-V servers are experiencing problems. Performance reports can also be created in real-time to analyse hosts and VMs. These reports include details on CPU, disk utilization, memory, uptime, and OS. Reports can be printed or emailed to other members of your team. ManageEngine Free Hyper-V Performance Monitor is a tool that is suitable for smaller organizations that want to monitor Hyper-V infrastructure without paying for a complete network monitoring platform. You can download this tool for free on Windows via this link here. eG Enterprise is another highly-regarded web-based Hyper-V monitoring solution. eG Enterprise provides complete transparency over Hyper-V infrastructure with agent-based or agentless monitoring. The tool can measure the resource health, status, CPU usage, memory usage, disk usage, network usage, and I/O activity of servers. All of this information can be viewed through the performance dashboard in real-time. However, what makes eG Enterprise a standout offering is its root-cause diagnostics capabilities. eG Enterprise uses pre-configured thresholds and auto-baselines for metrics to detect performance events as early as possible. Once an event has been detected, the automatic diagnosis technology pinpoints the root-cause. the Perpetual License, which starts from $10,000 (£7,592) whereas subscriptions start at $300 (£227) per month. To view the price of the cloud-deployed SaaS package you need to contact the company directly. There is also a free trial that you can download here. LogicMonitor is another well-respected Hyper-V monitoring solution that is very easy to configure. LogicMonitor automatically discovers Hyper-V virtual machines so that you can monitor performance metrics like CPU utilization, memory usage, and network throughput. You can view this information as graphs on the performance dashboard to identify emerging trends from a glimpse. However, LogicMonitor’s monitoring capabilities go well beyond the virtual and can also handle server and chassis monitoring as well. The tool automatically discovers the hardware that is being used to run your Hyper-V infrastructure. After the hardware has been found, the hardware is monitored by looking at power supply, temperature, and fan speed. Keeping track of physical hardware ensures that your virtual infrastructure is adequately supported. There are three pricing options available for LogicMonitor: the Start, Pro and Enterprise versions. Each starts at 50, 100, and 200devices respectively. However, you’ll need to contact the company directly to receive a quote. There is also a 14-day free trial version you can download here. Veeam One is a performance monitoring platform for Windows that offers a reliable Hyper-V monitoring experience. Veeam One monitors your network in real-time to track the performance of Microsoft Hyper-V and VMware vSphere infrastructure. This tool monitors the status, performance, and availability of virtual infrastructure to find if there are any performance issues. The Veeam One platform comes with over 200 preset alarms to keep you updated on changes in your virtual infrastructure. There is an intelligent diagnostics feature which works alongside alerts to identify the root-cause of performance issues. The user can even implement automated Remediation Actions which configure automatic responses once certain alerts have been raised. The intelligent diagnostics of Veeam One make it ideal for larger enterprises looking to automate Hyper-V monitoring processes. There are two versions of Veeam One available: the Complete Edition and the Community Edition. The Complete Edition is the fully-featured product and the Community Edition is a limited version that is available for free. You can download a free trial version of Veeam One via this link here. 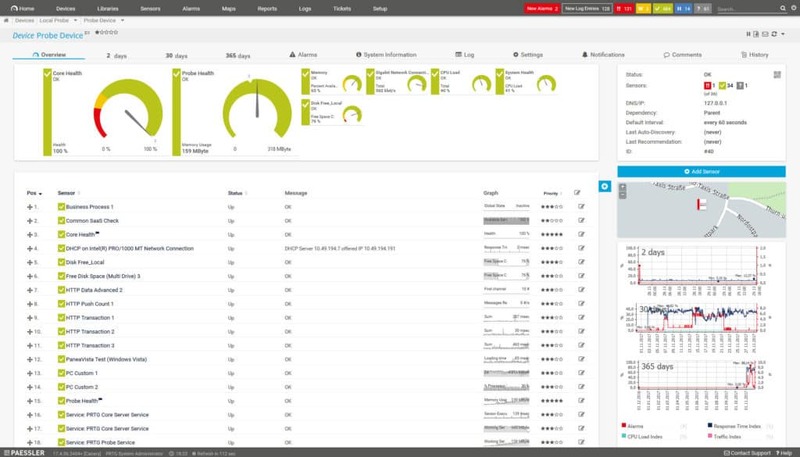 Dynatrace is an advanced APM tool with Hyper-V monitoring capabilities. With this tool you can see an interactive map of your Hyper-V resources. The map displays how your virtual and physical resources connect to each other. Applications, Services, Processes, Hosts, and Data Centers are all plotted on the map for you to navigate giving you a top-down perspective of your entire data center. 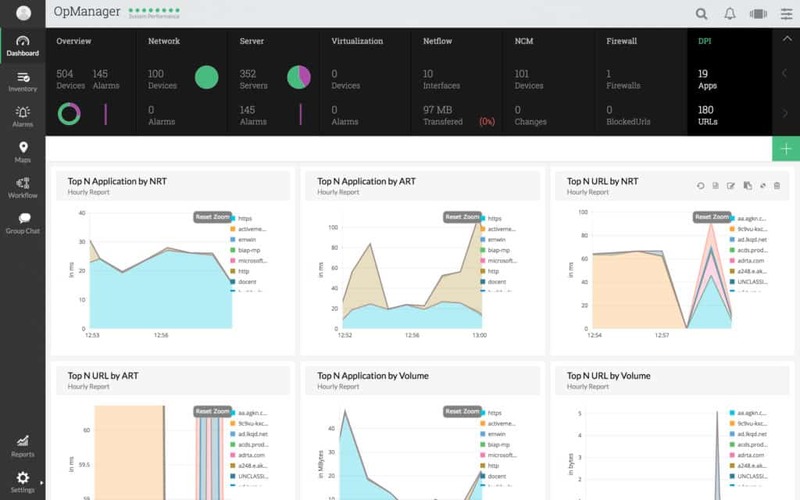 When it comes to monitoring Hyper-V metrics, Dynatrace offers metrics such as read/write, throughput, and IOPs. 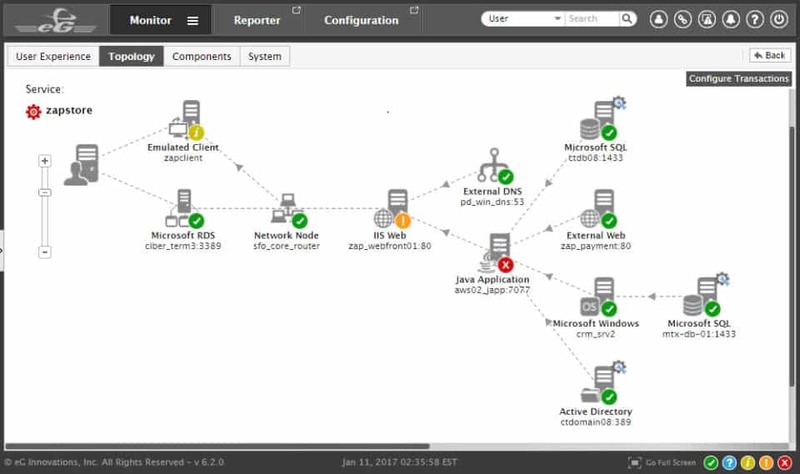 If a performance issue emerges then Dynatrace automatically starts to analyze and locate the root cause. The tool will be able to identify whether the cause is at the virtual or application layer. 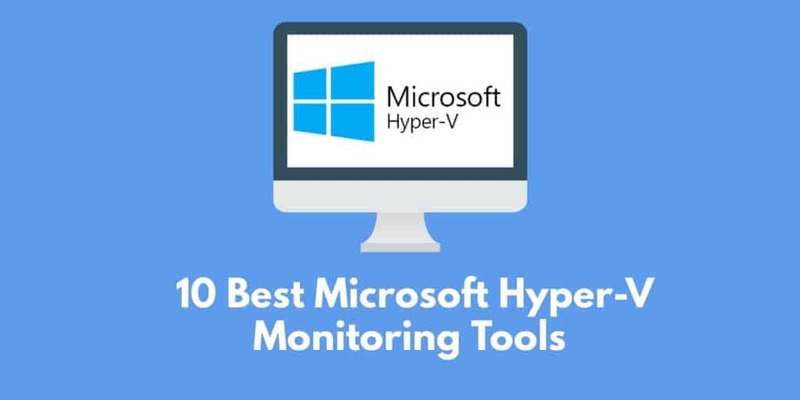 In terms of diagnostic capabilities and advanced Hyper-V monitoring capabilities, Dynatrace is a standout tool on this list. However, to view the price of Dynatrace you’ll need to contact the company directly. That being said there is also a 15-day free trial which you can download here. Finally we have Turbonomic. Turbonomic is a virtualization management tool which can monitor Hyper-V, vSphere, KVM, and PowerVM. The tool comes with integrations for Microsoft Hyper-V, VMware, KVM, Redhat Enterprise Linux, IBM Power VM, and Citrix. The storage and network usage of Hyper-V resources can be monitored to prevent poor performance. All of the dashboards that this information is shown on can easily be copied and shared with other key decision makers. One interesting feature offered by Turbonomic is that of capacity planning. The platform simulates the environmental changes of new workloads to see if resource allocation can sustain the intended usage. The platform can then decide whether to limit or provision more capacity. The great thing about this is that it reduces the amount of time you need to spend provisioning virtual resources and optimizing the usage of virtual machines. Turbonomic may not be as intuitive as some of the other tools on this list but it provides the core monitoring features to track and manage a range of Hyper-V resources. To view a quote for Turbonomic you will need to contact the sales team directly. There is also a 30-day free trial available here. For environments that use Microsoft Hyper-V, Hyper-V monitoring tools are essential for monitoring resource performance. Using a Hyper-V monitoring tool helps to keep virtual resources maintained and protected from performance degradation. Tools like SolarWinds Virtualization Manager and PRTG Network Monitor offer the best Hyper-V monitoring experience for enterprise users. Of the two tools, SolarWinds Virtualization Manager is a better fit for those users that want to monitor the status of Hyper-V resources. On the other hand, PRTG Network Monitor is a better fit for users who want to configure sensors and tie them to a configurable alerts system. The free version of PRTG Network Monitor is also a good alternative for those smaller organizations who can’t afford a more costly tool. If you stick with PRTG Network Monitor then you can simply upgrade to upscale with your virtual infrastructure to keep on top of Hyper-V servers. If one thing is clear with Hyper-V resources it is that virtual infrastructure needs to be managed just the same as physical infrastructure. Monitoring virtual resources as closely as you would physical machines is the key to keeping resources like Microsoft Hyper-V well-maintained.